There's nothing that matches the rich and luxurious look of hardwood flooring. But beauty is only one of the things why hardwood floors are in such demand - they are also very durable. If you want flooring your grandchildren can use, hardwood is the choice for you. But to get the most of your hardwood floors, you will need to maintain them. You can take care of the regular cleaning of your hardwood floors, and every few months you can polish them. When it comes to deep cleaning, sanding, and refinishing your hardwood floors, you can rely on us to do it for you. 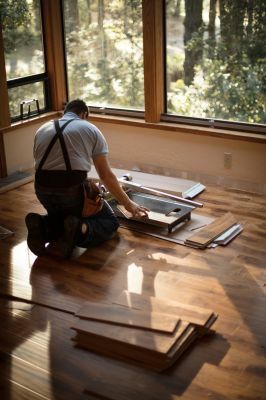 We are hardwood flooring installation contractors and we can do more than just install your hardwood flooring - we can make sure it stays beautiful and protected for as long as you have it.